Scholarship in the Hebrew Scriptures is more bountiful and diverse than ever before, a situation that presents a formidable challenge to the student trying to understand the critical issues in Hebrew Bible study. This book deals with each section of the canon and explains the standard questions, with special attention to points of scholarly agreement and contention. 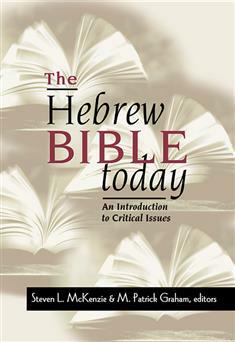 Written by an international group of preeminent scholars, this collection is intended for readers with a diversity of interests and is specifically designed for those making their first acquaintance with the complex character of the Hebrew Bible or Old Testament.